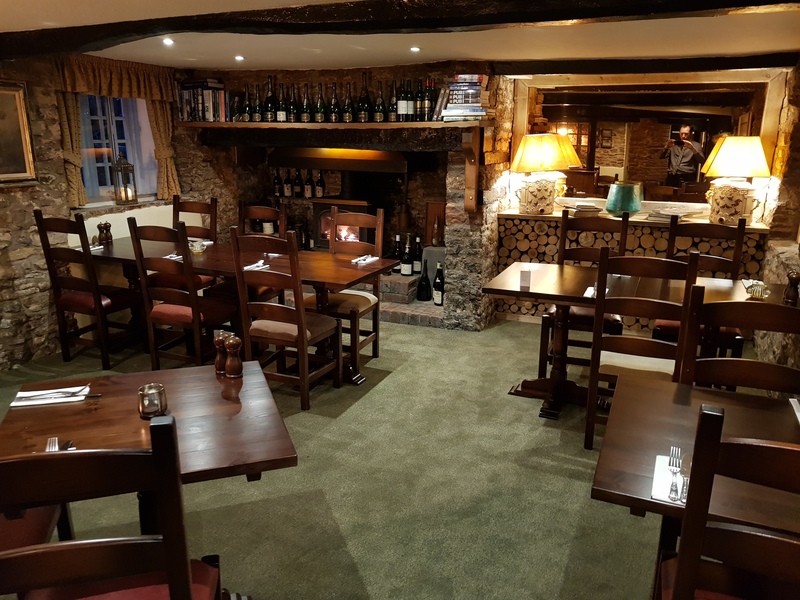 The perfect venue for all functions, whether it’s a Birthday, a Wedding or just an excuse for a party, The Carpenters Arms offers the ideal venue. 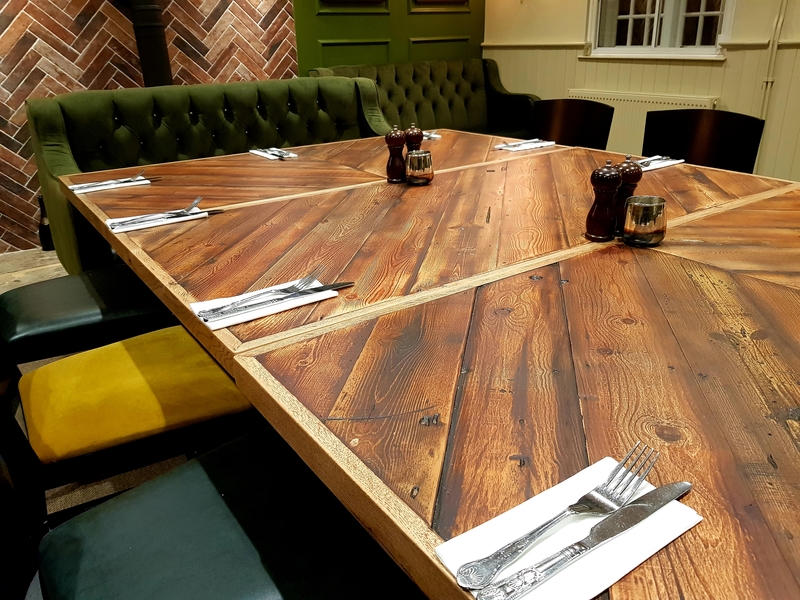 Our private Function Room accommodates parties up to 16 people on one block table or up to 26 people on a ‘U’ shaped table. For slightly smaller groups we have our Log Room. The Log Room can seat between 10 & 14 people on a block table. 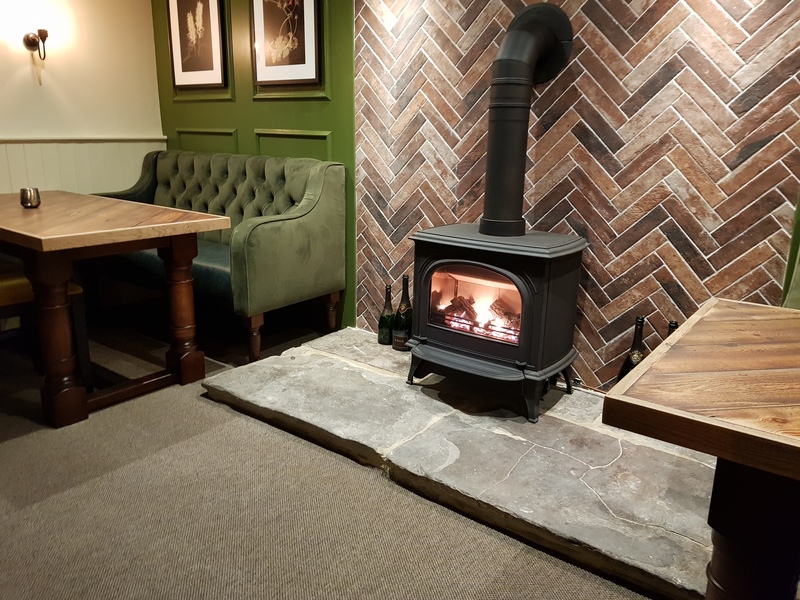 Both rooms have great atmosphere and have a log effect gas fire. Menus can be specially prepared to suit any occasion. 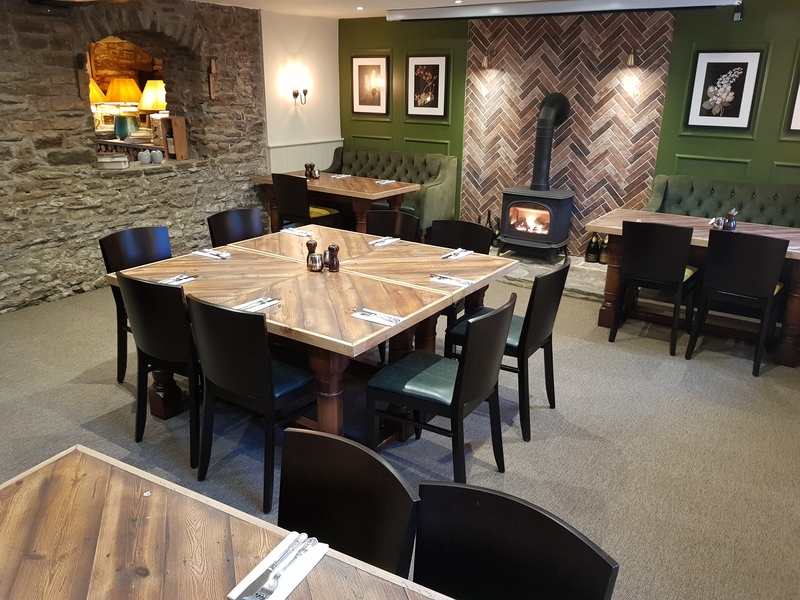 Both the Function Room and Log Room are popular venues, so it is advisable to book early to avoid disappointment! Please call to check availability & request our current function menu, also available below. 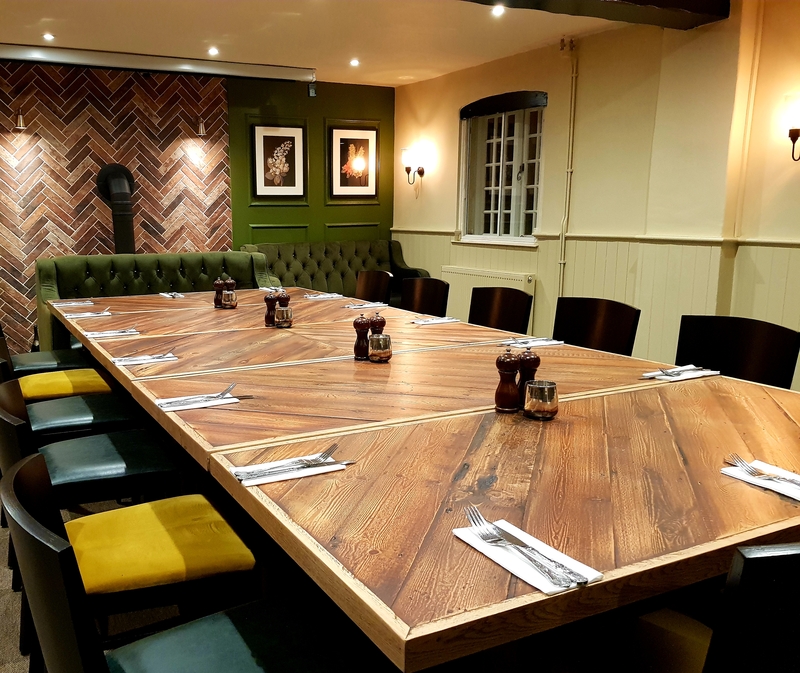 The Carpenters Arms is also a favourite for local businesses offering quiet & private facilities for meetings, training, interviews and formal dinners. 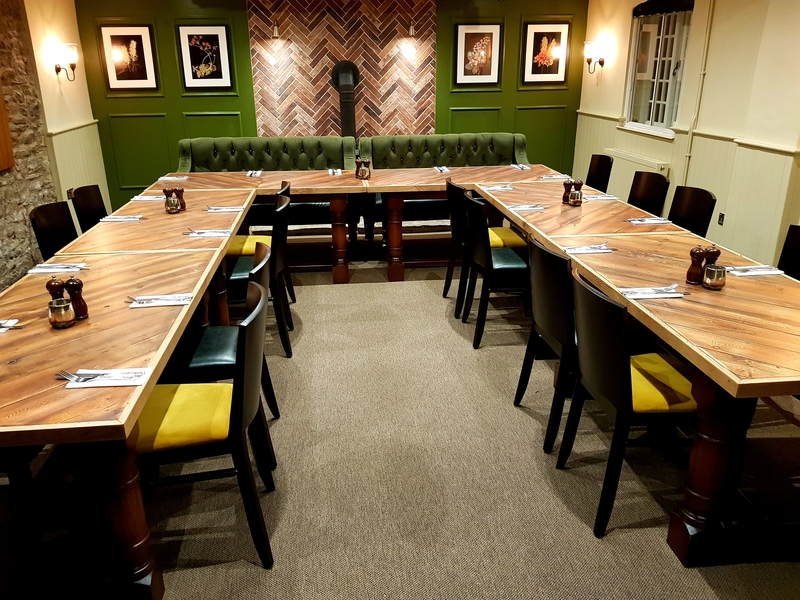 The function room is a perfect venue for private meeting with closing sliding doors, projector & screen. Fibre optic wireless broadband is also available throughout the inn. Conference packages are tailored to suit your needs; please contact either Simon or Sharon to discuss requirements & private room rates.